Meet Kim Lively from Ames, Iowa! 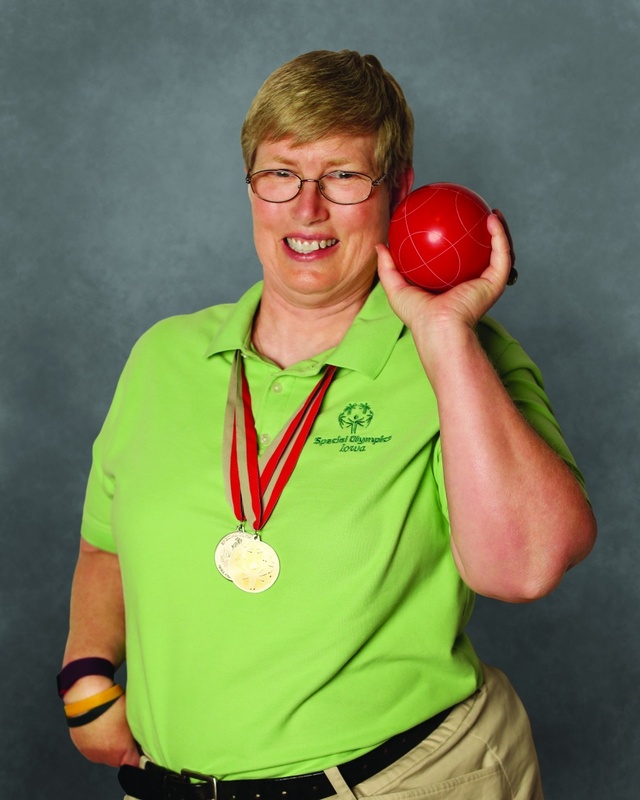 Kim has been participating in Special Olympics for many years. The events that she competes in are track, bowling and softball. Her favorite event to participate in is bocce. 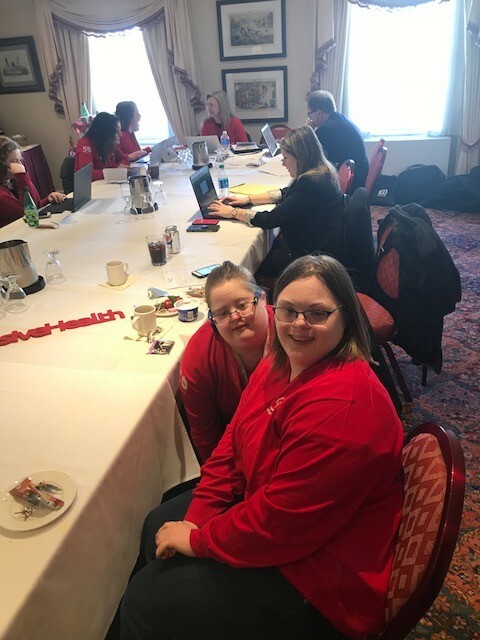 Kim got involved in Special Olympics through her mom and friends who already participated in events when she was a little girl. Over the years Kim has racked up a number of gold medals. However, her biggest accomplishment through Special Olympics is being named the 2015-16 Big 12 Female Athlete of the Year. 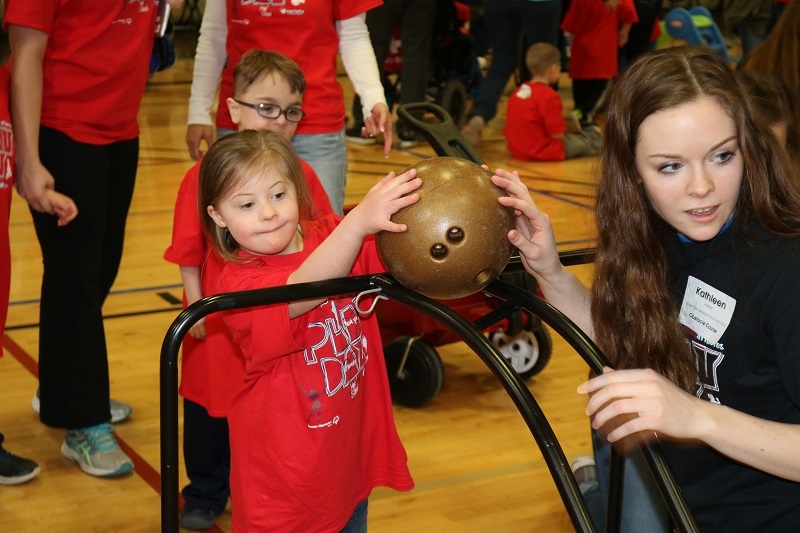 One of Kim’s favorite memories with SOIA is playing bocce with her friends Mikey, Lizzy and Katie through the Unified Sports program. 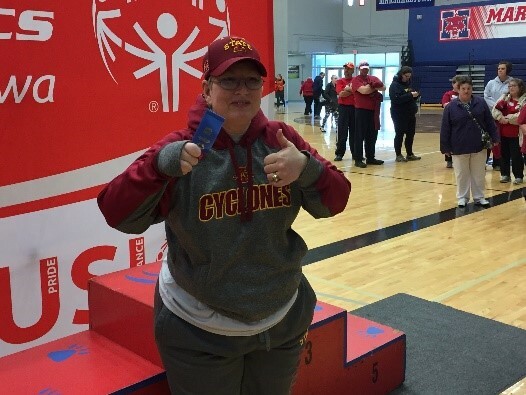 When Kim is not practicing in Special Olympics she is working at Walmart, spending time with friends and family, or cheering on the Iowa State Cyclones. 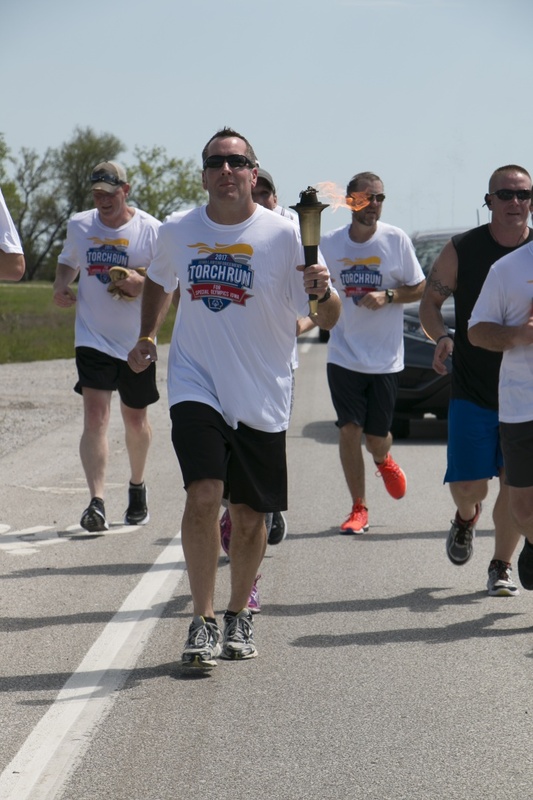 Billy Habermann of Sioux City will be representing Iowa this summer at the 2018 Special Olympics USA Games in Seattle, Washington July 1-6. He will be participating in tennis, coached by his mother and father, Kathy and William. 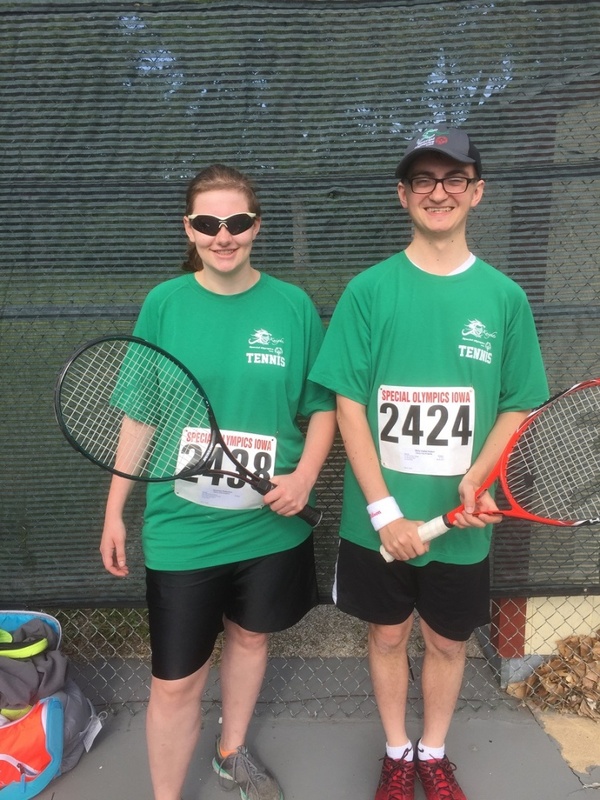 Billy did not start his Special Olympics career as a tennis player. He got the idea to start participating in the event by watching his brother who is a tennis player. 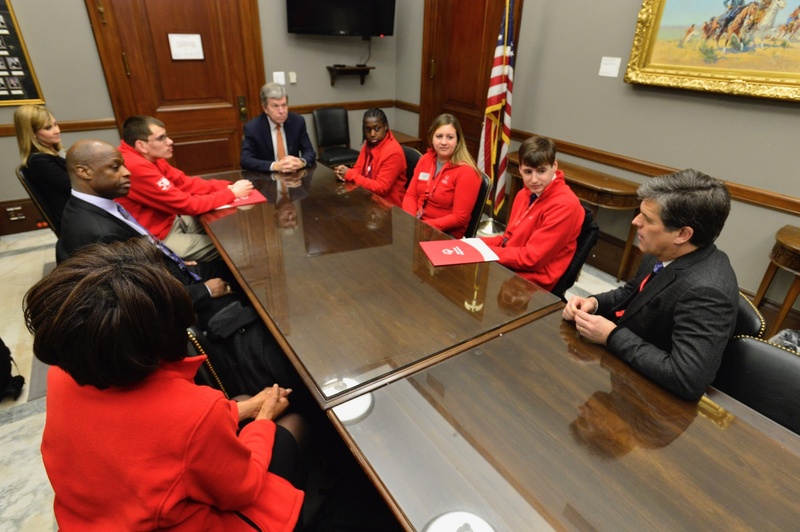 Billy not only participates in tennis but has also participated in bowling, basketball, softball, track and golf.